Abstract - Brain Computer Interfaces are the communication devices between the brain and the applications where these applications can be robotic hand/leg control, wheelchair control, mouse emulator, game control etc. Their primary advantage is supplying a more livable environment to the handicapped people. As mentioned above, they do not serve only to the biomedical science but also started to be used for entertainment purposes too. Neurosky has recently released a headset and an interface that communicates with that head, which can be used to generate any input as the user wishes to have in his/her application. Writing e-mails or playing computer games became possible by only thinking about the commands or by mimicking. The enhancements in this area are leading our world to be a soon after ‘mind-controlled’. In this project, we examine the Neurosky Mindwave headset and its built-in filtering and classification system with an application that is used for navigating a toy car. We worked on the classification of cognitive actions which is followed by expressive actions. Abstract - The scope of this paper to address the cyber events from the industry perspective and reflects on our sense and ability to response in that situations. This paper will further evaluate the various threat vectors, risks assessment and further provide the remediation plan during a case of cyber-attacks. Abstract - These days Deep packet inspection is the more enriched way of filtering networks at application layer level of OSI architecture. Deep packet inspection detects the packet content and the packet ID. Deep packet inspection devices deal with streaming packets in real time. DPI used for virus detection and for other harmful packets by looking for protocol non-compliance, intrusion or other described rules and principles on the on the behalf of which we can choose the packet or to be neglected or assign another destination. For signature comparison, many algorithms are used such as regular expression and string matching algorithms and many others which are discussed later. Now these days many applications depend upon the deep packet inspection for the inspection of the data packets which are passing through the network stream. This paper gives a brief idea about the challenges which are currently facing in the deep packet inspection and some of the design issues. After this some of the string matching algorithms are shortly discussed. Abstract - Software measurement is an important area of research as it focused on the estimation of the cost and size of software. There are a different software estimation models that are used in industry to provide accurate and reliable estimates of the software costs and size. Despite their contribution towards software estimation, such models need to be standardized, validated, to incorporation estimation. Function Point (FP) metrics are used for studying software size, productivity, quality and costs. FP provides good result in traditional software estimation environment. But; it didn’t give suitable results when used for measuring agile software. This paper investigates FP analysis in agile software development measurement through two case studies developed by scrum method. This study proved that FP in an original form is not a suitable metrics for agile software estimation. Hence, this paper states that the traditional FP needs more tangible enhancement to be used in agile software properly. 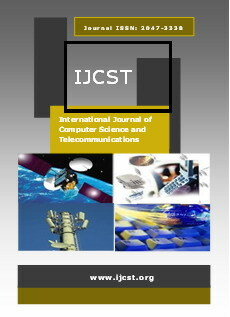 Abstract - In Wireless Sensor Networks (WSNs), power utilization is a primary concern. WSN devices called Sensor Nodes are powered by small batteries. These batteries provide limited energy resources. In most cases and deployment settings, it is not possible to replace or recharge these batteries. So these nodes are designed to use energy resources as a efficiently as possible so that long lifetime of network is achieved. Major portion of power resource is consumed for wireless communication during Transmitting (TX) state and Listening or Receiving (RX) state. So the nodes of WSN are grouped together and only one node in a group, called Cluster Head (CH) is responsible to transmit data to sink Base Station. The grouping or clustering of these nodes is done by various techniques. Some techniques put extra control overhead and processing to the network.